With an early start, I could feel the effects of four long days on the road and prayed for fresh energy. That came in spades with the stories I encountered! I arrived in Healing Streams Community Church in Newcastle West just after 9am. Leaders from across Limerick had gathered for their monthly prayer breakfast and it was such a joy to join them for a short while. Time is too short to capture all the stories here (watch out for the magazine in July) but I heard of the success of young people from Abundant Life Church in Limerick's River Fest - winning prizes in the BBQ competition - and news from Limerick Baptist where a new evening "Cafe Church" has really taken off. Afterwards, I chatted more with some of the leaders of Healing Streams to hear what God is doing in Newcastle West and in their own lives. One highlight of the year is the annual St. Patrick's Day Parade. The church is well known for its Bible-themed entries. Wet weather has set in as I drive into County Kerry to visit JP Walsh in Listowel Christian Fellowship. JP and I both travelled to Romania with the Team Hope Shoebox Appeal in December and I'd promised him then that Listowel would be a stop on the tour. Touring the beautiful purpose-designed church building (JP and other church members did much of the work!! ), I also have the joy of meeting Marian, who tells me her story. "I've been saying that I found Jesus," she tells me. "But the truth is, Jesus was never lost. He was the one who found me!" While away at a church conference, Marian was struck by a message on forgiveness. "There was someone I hated and I use to want nothing but badness for them. I cried so much that weekend it would probably fill a pond. God turned my heart upside down and I started praying for that person. I learnt to leave it at the cross." Marian's life has been transformed. "I've seen that when you give something to God, the amount He gives you back is so much more!" Having lunch with JP in a lovely hotel in the centre of Listowel, I ask about his own journey of faith. A Kerry-man born and bred, JP even spent a few years at seminary and his mother thought he would become a priest but he dropped out. "I went a bit mad in college and even started growing marijuana!" he shares. 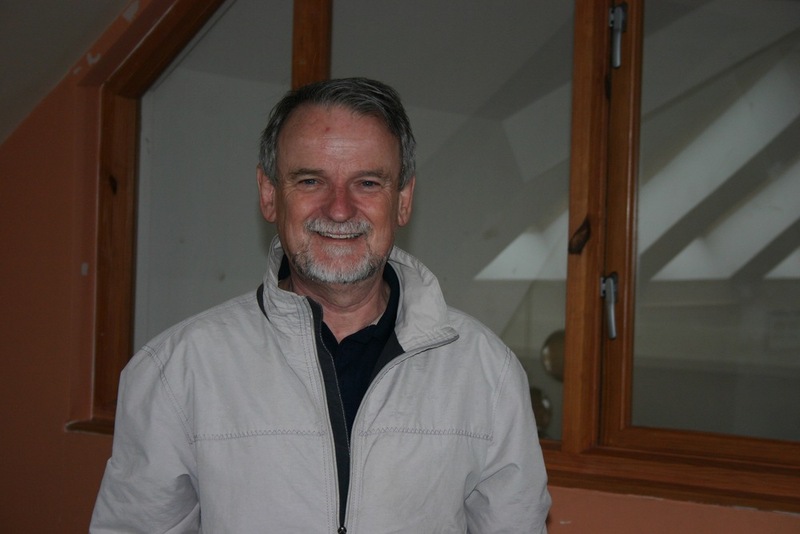 Meeting folks from Campus Crusade for Christ in Galway in the 1970s was the turning point. "They were a little bit pushy," JP smiles, "but I went along to a conference and I heard about the 'House on the Rock'. I realised my life had a flimsy foundation and so I asked Jesus into my life. One of the biggest changes was how the Bible came alive to me!" 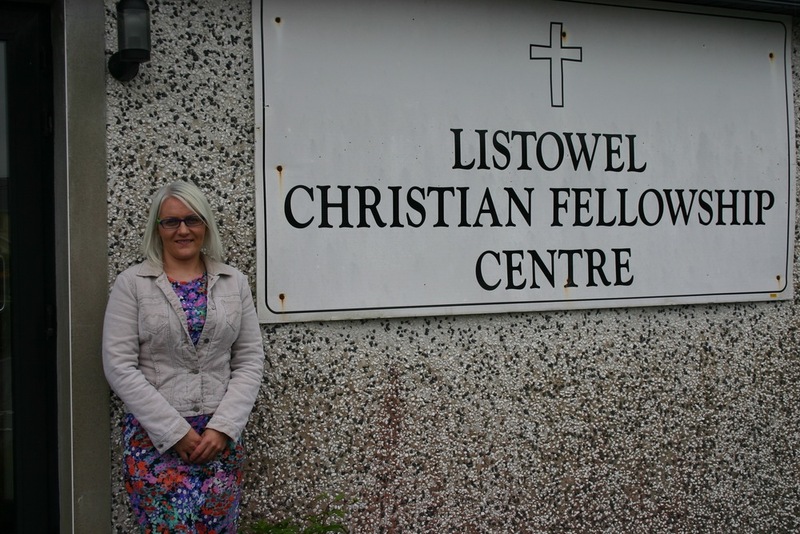 For more than three decades, JP and his wife Fidelma have lived and worked in the Listowel area and gradually the church has grown. "Raising churches is not an overnight thing - it is a lifetime job!" And over that lifetime, the couple have seen miracles as people's lives have been transformed! From LIstowel, I travelled north again in the pouring rain, crossing back through Limerick and up to Ennis in County Clare where I'm staying with Kathy Locke. We enjoy a lovely chat and a delicious meal before Kathy takes me to meet two beautiful families from her church. Debra and her husband have five children and they have lived in Ennis for 12 years. A few months ago Debra had a vision to organise a Festival of Praise - an opportunity for people from different churches to come together to sing and make music. The plans came together quickly with many offering to help out and to donate their time, money or food to help make the festival a reality. On a Sunday afternoon, over 200 people gathered in Ennis between 1pm and 6pm for a continuous afternoon of worship. "I want to praise Jesus because I love Him... I cannot find the words to explain but I had a rough childhood. I was told nobody could love me but then I discovered that God says I am fearfully and wonderfully made. He knew me before I was even born!" Debra was excited to tell me about her new YouTube video so we've posted it here for you to see! The final stop of the day was at the home of a Polish couple - Kaja and Adam Kiszka. This beautiful young couple, also with five children, each shared heartbreaking stories of growing up with alcoholic parents. It was a legacy that left both of them with deep scars. "I always believed in God. There were times when I wanted to pray but I thought I'm not good enough for Him and He wouldn't listen to me anyway!" Kaja shared. Meeting and falling in love, the couple eventually decided to move to Ireland to make a better life for their children. 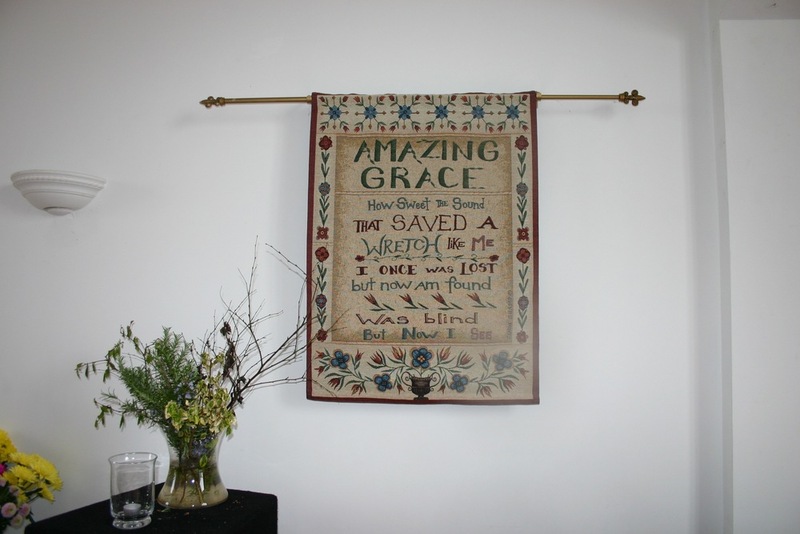 Starting to attend Ennis Evangelical Church was a turning point for Kaja - she immediately felt welcomed and at home and began a gradual journey to understand more about Jesus. But at first Adam didn't want anything to do with the church. He had rejected religion after many bad experiences as a child. Eventually, Adam joined his wife and within minutes he knew something was different about this church, "I was amazed by the way they worshipped God!" Adam and Kaja became hungry to find out more about God - reading the Bible and watching YouTube videos. Gradually life began to change. "I have so much peace. I feel loved. I don't feel afraid. I don't have to worry any more about how I will provide for my family. when I think about what He has done for us already, I know nothing is impossible for Him," Adam shared. It's another late night but I'm deeply grateful for a fast internet connection and inspired by the honesty of those who shared their stories today. It is impossible to do justice to them here... but do remember to get your copy of VOX magazine in July to hear more! Missed the blog from Day Four? Read it here.